Jo Waldman lives to her own soundtrack working by day while pursuing her music career in NYC's downtown clubs at night. So when Jo is fired and her boyfriend breaks up with her, Jo doesn t get upset she just wants to rage. Dusting off her computer, Jo writes a blog entry, pouring her heart out about the shortcomings of love. 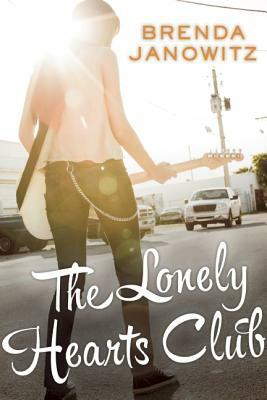 But as Jo hits publish, she accidentally sends a mass e-mail to the entire mailing list for her former almost-famous band The Lonely Hearts Club, announcing to everybody that she's been brutally dumped. To her surprise, supportive e-mails start flowing in many of them from complete strangers. Apparently, her anti-love rant has struck a chord. The Lonely Hearts Club Blog develops a huge following and Jo becomes an icon for all things anti-love. Now the poster girl for lonely hearts and writing music again, Jo has one problem: the web programmer developing her site is simply dreamy. Jo's never been very good at depriving herself of anything, but if this budding romance is exposed, she'll be revealed as an anti-love fraud and risk losing the fans who have found a voice in her music. A native New Yorker, Brenda Janowitz has had a flair for all things dramatic since she played the title role in her third grade production of Really Rosie. When asked by her grandmother if the experience made her want to be an actress when she grew up, Brenda responded, An actress? No. A writer, maybe. Brenda is the author of Scot on the Rocks and Jack with a Twist, featuring Manhattan attorney Brooke Miller. Her third novel, Recipe for a Happy Life, was recently published by St. Martin s Press. She lives in New York City."